As you might know, today (May 19th) is World IBD Day and is built to help the IBD community come together to raise awareness! In honor of this, we’re sharing our own list of “19 Ways to Raise Awareness for World IBD Day” to help bring people together to share and connect around IBD awareness. We’d love to hear additional ideas that you have as well! Sharing your story is a great way to help raise awareness of IBD. Everyone with IBD is unique but the more representations of the disease we see, the more we understand! Wear what you want and feel proud of your life-saving ostomy. Show it off as an opportunity to connect with others! Many people post questions on the site and are seeking answers. Take a few moments to answer questions to support someone in the community. The hashtags #worldibdday and #unitedwestand are being used for World IBD Day. Share on social media and use a hashtag! We’ve heard from many of you that you love the artwork that comes from our fantastic creative team – this “Angry Gut” image in particular. So, to help raise awareness we’re giving away Angry Gut stickers all month long! Giveaway ends on on May 31st, 2018 11:59:59 PM ET. The purple ribbon is a symbol of awareness and support for those living with IBD. You can easily make your own purple ribbon or if you’d like to receive ribbons for your awareness raising campaign, you can contact The European Federation of Crohn’s & Ulcerative Colitis Associations. You can also wear purple or put your own spin on it (why not post a picture and use a hashtag!). Our team created this visual guide to help you tell your story and share it with your friends, family, and on social media if you so desire! You can download the PDF, fill in the parts that apply to you, and share with whomever you’d like. The Crohn’s & Colitis Foundation has “Take Steps” walks all around the country where patients, loved ones, supporters, and friends can connect with the greater IBD community. Find a walk in your city! We created a Facebook Frame for IBD Awareness month. Change your profile picture to raise awareness! The Great Bowel Movement sells many different t shirt designs to raise awareness and to spark conversations around IBD. Check them out! Community can be very powerful when battling chronic illness. We have a strong community of patients, caregivers, and advocates on inflammatoryboweldisease.net. Join the community to share/get information and connect with others. If you are already part of the community, try sharing something new! We know that it can be difficult to share your IBD with someone new, but you might be surprised by their reaction or relieved to get it off your chest. You might also find that it becomes easier the more you share. Try it out and see how it goes! Take a moment to write a kind and supportive letter to yourself. Read this letter whenever you need a pick me up or a re-start. This co-ed residential summer camp gives children with Crohn’s disease and ulcerative colitis a safe and supportive camp community where they can try new sports and activities, gain confidence and independence, meet new friends who understand them, and just be a kid! Find an opportunity to meet someone else with IBD or to support someone online. You might also make connections by trying some of the additional suggestions such as rocking a tshirt or a purple pin. 16. Educate yourself and learn something new! You are the expert when it comes to your condition, but there is always more to learn. Read up on information or ask a question to learn something new. 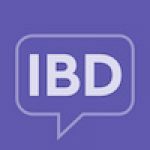 There are events taking place all around the globe for World IBD Day. Find an event happening near you! 18. Make your own awareness event! Gather your friends, family, loved ones and make your own awareness event to support IBD. We’d love to hear about different events and ideas if you do create your own! You can weigh in to share your journey by participating in a series of polls.